Got Guilt becasue of Lupus? Me, too! 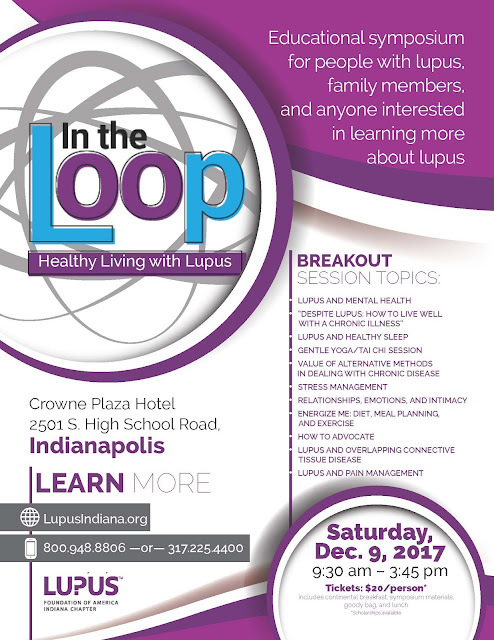 Make time for the LFA's "In the Loop Healthy Living with Lupus" symposium on Dec 9th! Lupus, Prednisone and Patient/Doctor care - Great infographic from GSK! 🎶 I'll have a Blue Christmas 🎶 Our best seller at the JLWS Boutique? Why, the Guadeloupe! I'm in denial, too. But it really is that time of year again. Jingle, jingle! Lupus in the News! Lupus Research Updates, Celebrities, and More!